Hope and Homes for Children works with national governments to establish foster and family support networks to end the institutionalisation of childcare. One day in October 2012, Jane heard a baby crying in the lane outside their house. She sent her children to investigate and they discovered Gihozo, abandoned in some bushes. A note left with her gave her date of birth; she was just five days old. Jane and James did not hesitate. The couple, who are both nurses, took Gihozo into their home and did their best to care for her while they waited for the authorities to decide what to do. 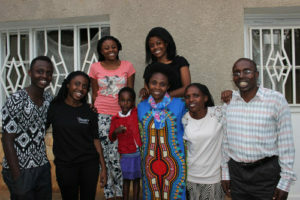 Gihozo and her adoptive family. In the few short days that she spent with them, Jane and James and their children fell in love with Gihozo. They were horrified when they were told that they must take her to the city’s main orphanage and leave her there. Jane was dismayed by the crowded conditions and feared for Gihozo’s future but the nuns in charge were adamant: Jane must hand Gihozo over and she would not be allowed to see her again. Jane and James couldn’t bear to think of the tiny baby girl that they had rescued, struggling to survive in the orphanage and so they came up with a plan. Jane would volunteer as a helper in the institution so that she could watch over Gihozo and try to maintain their bond. And for over a year that’s exactly what she did. Then in January 2014 Hope and Homes for Children began working with the Rwandan government to close the orphanage where Gihozo lived by finding families for all the children there. As part of this process, we tried to trace Gihozo’s birth family but without success. We had heard about her connection with Jane and James and so we went to visit the family to see if they might be willing to foster Gihozo. Jane was at work when we called but when she got home and heard about our visit, she says she shouted for joy. This was the chance she had been praying for. Our team in Rwanda assessed Jane and James as suitable foster parents. It was clear there was a strong attachment between them and Gihozo. 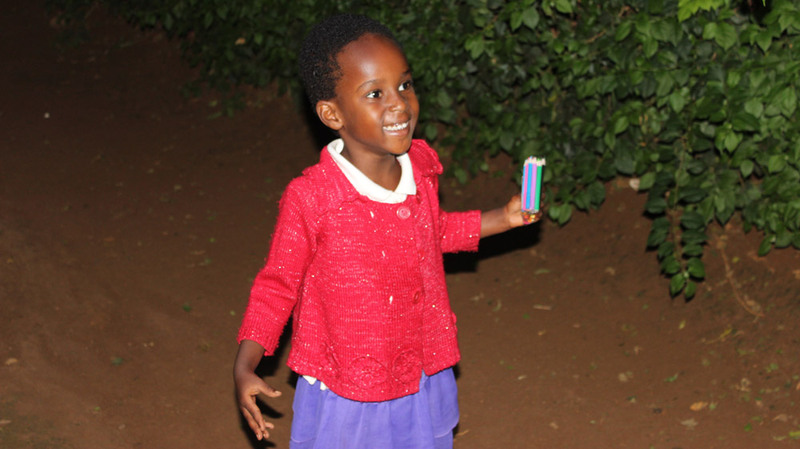 We provided the couple with the training they required and then, in July 2014, Gihozo left the orphanage to join her new family. Today, Gihozo is a happy, playful little girl. She is naturally shy of strangers but full of fun around her foster parents and doted on by her older brothers and sisters. In December 2016 Jane and James began the process of officially adopting Gihozo. They are determined to make her a permanent part of their family and to never allow her to be separated from them again. In this Time For Global Action – advancing the UN Sustainable Development Goals and realising Goal # 1 No Poverty by building social protection systems and supporting vulnerable families to protect children. Stephen Ucembe from Hope and Homes for Children shares powerfully his own experience of growing up in an institution. Dr Delia Pop highlights the impact of institutionalisation on children’s development and well-being. Chris Muwanguzi from Child’s i Foundation speaks of the work of the Foundation in Uganda preventing children’s institutionalisation and supporting the reintegration of children who have been placed in their families or adoptive new families, and Pastor Ruth Kahawa from Smile Africa shares her journey moving away from providing residential care to supporting children in families. Sally Faiz from UBS Optimus Foundation talks about the importance of investment in children and families for sustained and lasting impact.